Heat a deep, sauté pan to medium and add olive oil. Add chopped onion and garlic and sauté until onions become translucent. Add the bell pepper and sauté for 5 minutes until the peppers are softened. Add tomatoes and tomato paste and stir. Add spices and sugar, stir well, and allow mixture to simmer over medium heat for 5-7 minutes till it starts to reduce. Season with additional salt, pepper and cayenne, to your liking. Crack the eggs, one at a time, directly over the tomato mixture, making sure to space them evenly over the sauce. 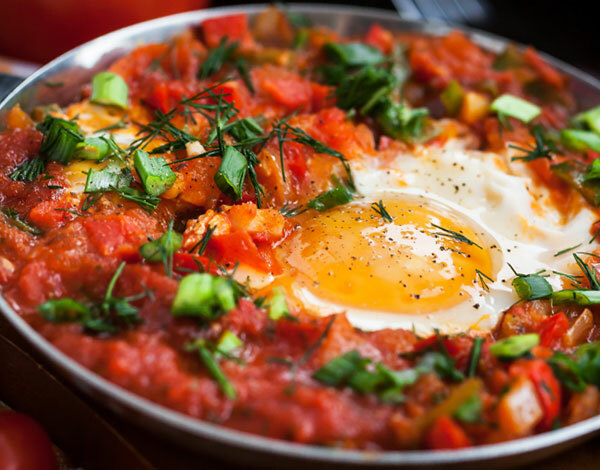 Loaded with fresh tomatoes and peppers, Shakshuka is a Middle Eastern dish that is typically served for breakfast. Spicy and sweet, this recipe will take your tastebuds on a first-class journey, without ever leaving your kitchen. 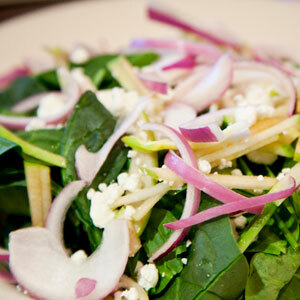 Yes, it's great as breakfast or brunch fare, but we love it equally for dinner, served with a salad and crusty bread.